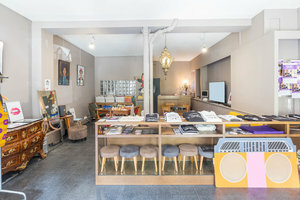 This arty retail space is located in the 5th Arrondissement close to St Marcel. At 70 sq m it is an ideal space for brands to host creative Pop-Up Stores and Art Events. The space has a unique feel and the interiors provide a trendy backdrop for fashion and product retail stores. With shelves, counters, furniture and display windows, this space is well-equipped and offers a range of facilities making it well-suited for brands looking for a simple operation. 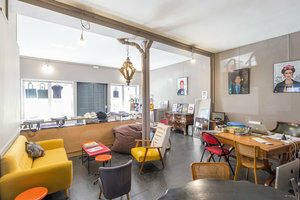 Neighbored by independent stores, cafes and restaurants, this space is ideal for brands and artists looking for a flexible space for creative pop-ups.